Getting robots to do our dirty work (namely cleaning) has been a human fantasy for years. 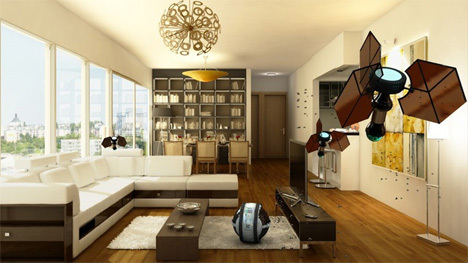 Cleaning robots have even come into fruition in the last decade or so with the introduction of the wildly-popular Roomba carpet cleaner and a window cleaning robot called the Winbot. 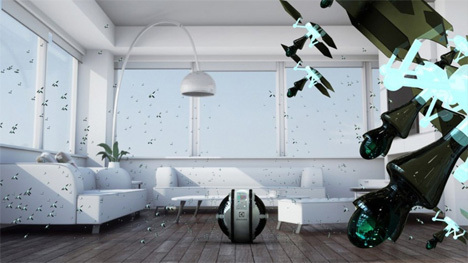 A new design called the “Mab” cleaning system wants to tackle entire rooms. 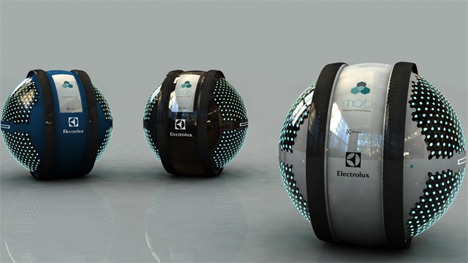 An entry in the 2013 Electrolux Design Lab competition, the Mab system was developed by Adrian Perez Zapata, an industrial design student from Columbia. The “inspired urban living” theme of this year’s competition contains an ‘effortless cleaning’ category, and the Mab concept is at the forefront. A spherical core, into which the user pours water and cleaning solution, contains 908 mini robots. After the liquid is distributed evenly among the tiny cleaners, they disperse and hunt down dirt, which is carried back to the core. 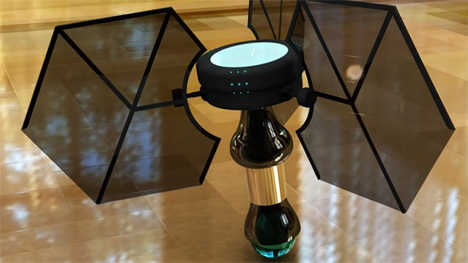 The little robots would use solar power absorbed through their wings. It’s a bold concept, and convenience isn’t the only thing Zapata wants to get across. “The thought behind Mab is to restore a sense of wonder in the everyday life, and to recapture the magic in simple processes, providing human shelters an autonomous purification,” Zapata wrote on his project page. See more in Robotics or under Technology. September, 2013.